High There is a new dating app for the cannabis community. Pot smokers rejoice! You might not need that invisible boyfriend or girlfriend anymore. 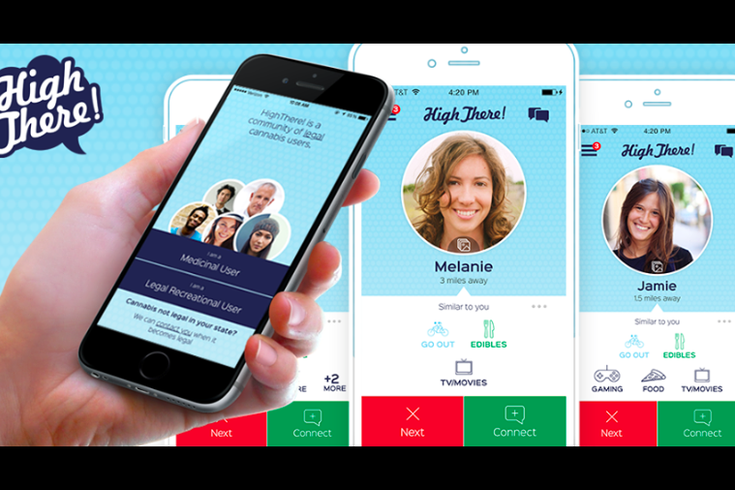 The new dating app High There gives weed enthusiasts a chance at love by bringing together the cannabis community. On traditional dating apps, marijuana users may be reluctant to share their affinity for smoking weed. High There removes that awkward step by bringing together people will similar "hobbies." High There closely resembles Tinder, where users can swipe through profiles to find someone to connect with and directly message matches with the app's built-in chat. Profiles include information about each user's consumption preferences and energy level when high. High There joins an array of marijuana-focused apps. The Chicago-based startup is available for both IOS and Android users in only the states where cannabis is legal. A couple who gets high together, stays together. Well, maybe.